The Mint displayed new products and packaging at the forum, including the 2018 Preamble to the Declaration of Independence Platinum Proof Coin. 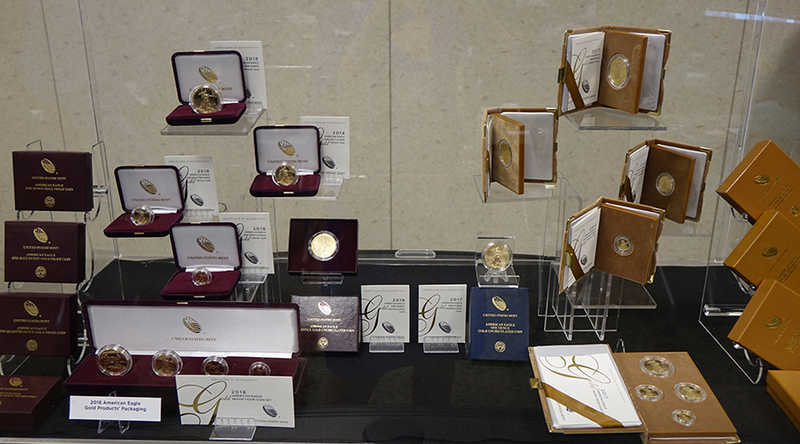 Approximately 70 industry leaders gathered at the United States Mint’s headquarters in Washington, DC, for the second annual Numismatic Forum held October 17. The purpose of the forum was to continue a look into the numismatic hobby—its past, present and future—and to see what Mint employees and stakeholders can do to reinvigorate it. United States Treasurer Jovita Carranza was present to welcome the attendees and thank them for participating in this important endeavor. Acting Deputy Director Dave Motl noted how important it is to continue the discussion about the long-term health of the numismatic hobby and how eager he was to showcase the talent and dedication of the Mint team as it works to create a more collaborative environment with those that share the hobby. Hosted by Jon Cameron, Associate Director for the Numismatic and Bullion Directorate, the forum presented a wide variety of information and provided multiple opportunities for attendees to give feedback on several Mint initiatives. The morning session included presentations and discussion about legislation, design, and manufacturing. Acting Director of Legislative and Intergovernmental Affairs Betty Birdsong discussed the impact of legislation on United States coin and medal development. April Stafford, Director of the Office of Design Management, explained the design management process from initial artwork through design approval, including the recent influence of design competitions. Ron Harrigal, Manager of Design and Engraving in Philadelphia, spoke about the Mint’s commitment to advances in manufacturing, citing the development of pink gold and palladium coins. Attendees kept working through lunch, during which Gary Adkins, President of the American Numismatic Association, gave a keynote address regarding the role of education in developing the future of the hobby. The afternoon session focused on Product Management, Marketing, and Customer Operations. Program Management Branch Chief Ann Bailey presented information on the 2018 commemorative coin programs including the World War I Centennial Silver Dollar and the Breast Cancer Awareness Commemorative Coins, along with the seasonal product schedule for 2018. Product Development Branch Chief Darryl Delaney gave a 225th anniversary product recap and discussed new products for 2018. Among the many products mentioned, the 2018-2020 Preamble to the Declaration of Independence Platinum Proof Coin Series was announced, and the 2018 platinum proof coin in the series (Life), was on display along with the new American Eagle gold proof and uncirculated packaging for 2018. Dufour Woolfley, Division Chief for Marketing and E-Commerce, gave an in-depth e-commerce and marketing review. Bulk Purchase Program Manager Robert Fickling outlined the changes coming in 2018 and the Bulk Pack Pilot Program, and Retail Sales Manager James Pressley concluded the Mint’s presentations with a trade show and retail update for 2018. Three lively question and answer sessions provided productive feedback about several of products and programs and offered a glimpse into what many in the coin industry are looking for in terms of U.S. Mint products and improvements in customer service and functionality. 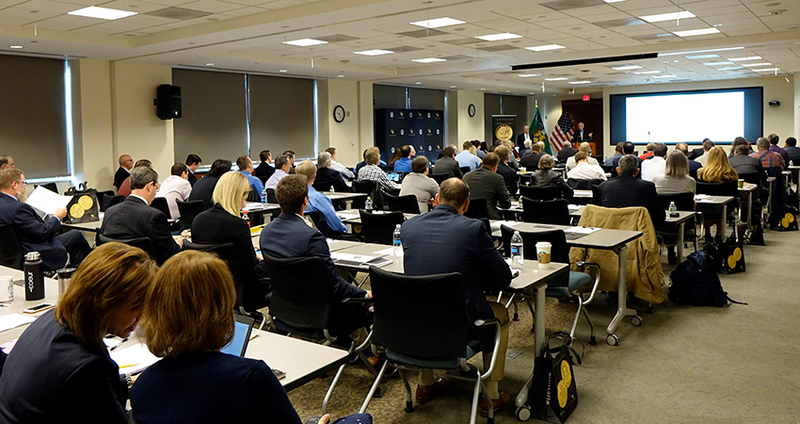 The Department of the Treasury and the United States Mint are grateful for the commitment and effort participants made to make the second annual Numismatic Forum a success.